Just in time for Stephen Spielberg's biopic of our sixteenth president comes "Abraham Lincoln: War Veteran Projection" by one of Paper's favorite artists, Harvard professor Krzysztof Wodiczko. 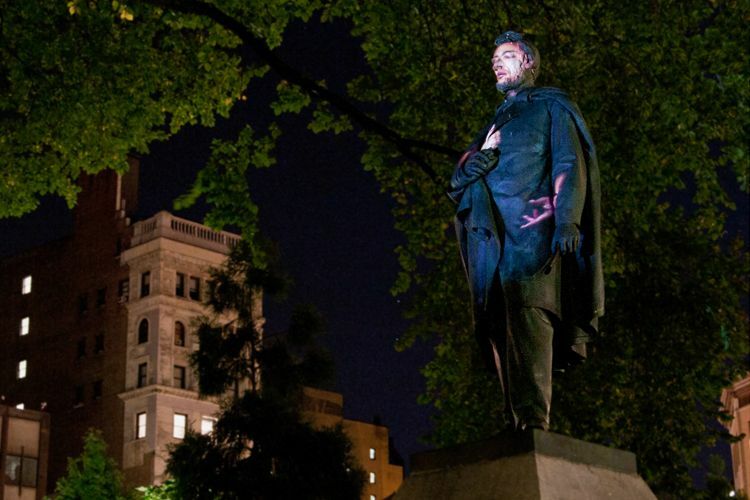 Each evening for the next month, fourteen American veterans of the Vietnam, Afghanistan, and Iraq wars will appear as projections on the Lincoln statue in Union Square, narrating their experiences. The installation, organized by More Art, will be Wodiczko's first large-scale project in Manhattan since 1988's Homeless Vehicle Project. The opening reception will be tonight at 6:30 in Union Square North. Wodiczko will also appear in a panel on "War, Trauma, and Public Art" at NYU on December 4th. 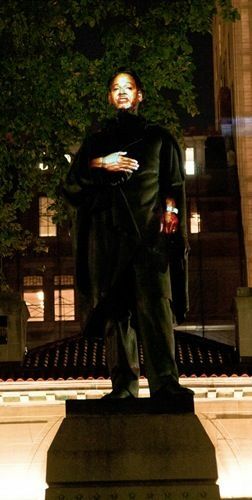 Why Is This Abraham Lincoln Sculpture So Thirsty?